You can now legally turned any iPod Touch legally into a phone in the US. 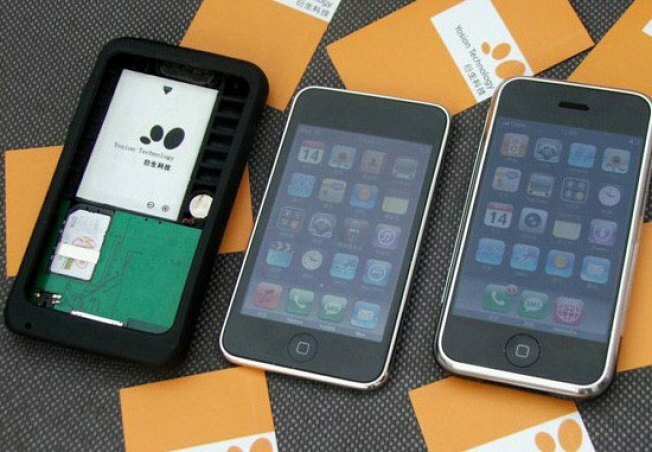 Remember that case that turns an iPod touch into an iPhone? Yeah, that ZTE Peel is coming to U.S. shores after only being sold in China — to Sprint. Who needs to wait for CDMA iPhone? The ZTE Peel will arrive on November 14. For $30, you will have access to 1GB of data on Sprint's 3G network — all without a contract. Not exactly cheap considering you can get 2GB of data for $25 on AT&T. But if you only need to check e-mails and do some light browsing on the go and want to be connected at all times, then making the data plan stretch shouldn't be much of a problem. In the U.S., Apple's iPhone is available only on AT&T, a partnership that many customers aren't exactly ecstatic about. The ZTE Peel is catering to the millions of iPod touch owners out there who refuse to part ways with their superior carrier in exchange for an iPhone. Sprint's no stranger to unofficially circumventing Apple and supporting its iDevices. In the past, Sprint's promoted the iPad as being the perfect companion to it's 4G Mobile Hotspot Overdrive device. Verizon just started selling the iPad bundled with its MiFi plan. Although there is a 3G iPad — exclusive to AT&T, Apple's Wi-Fi models are managing to invade other mobile carriers. Clearly, Apple's iDevices are big business. So technically, Apple's iDevices can be used on three networks out of the four major U.S. mobile carriers. Wi-Fi enabled devices combined with pocket 3G MiFis are setting the world on fire. Next time, you can skip the $130 extra bucks for a 3G antenna iDevice and stick with a Wi-Fi-only model. Who needs the 3G antenna when Wi-Fi to 3G MiFi devices help bridge the gap so well?